I am sharing another wonderful book with you today. 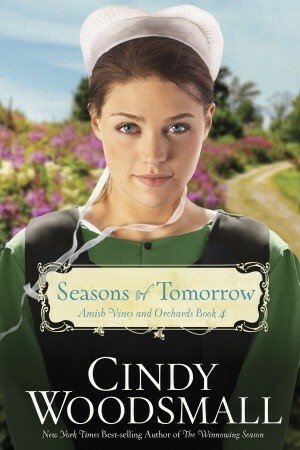 I seem to be drawn to Amish fiction lately. Although they have a common thread each is vastly different. Cindy Woodsmall’s series, “Amish Vines and Orchards” centers around the Kings’ Orchard and Rhoda’s canning, both of which interest me. Therefore, I was anxious to read the latest book in the series, Seasons of Tomorrow. This book returns the reader to Orchard Bend, Maine and the delightful characters in the new Amish settlement. However, all is not smooth sailing as Jacob must learn to deal with Samuel and Rhoda’s relationship and Leah’s involvement with Englischer Landon causes problems for the settlement. It could lead to disciplinary actions or even breaking up the core group. As they are all working through this situation, tragedy strikes. Will this shatter what they have all worked so hard to establish? Will all of these trials make them stronger or draw them together or scatter them to the wind? Seasons of Tomorrow is a book I would recommend. The characters are so real and engaging. The reader is drawn into their community and is anxious to see how everything will turn out.